Lock in a great price for The Crown Hotel – rated 8.1 by recent guests! A fabulous room with wonderful views from the three bay windows and one of the most comfortable beds I've ever slept in! Great Value and location. Facilities were clean and modern. Bar/restaurant area was very pleasant. staff at reception very helpful. Would certainly go again. Only issue was stairs so some of the upper floor rooms might be difficult for people with limited mobility. Car parking is just across road and free between 6 and 8. The location is excellent. The hotel is situated in the central section of the beach front and is 5 minutes walk from the railway station. The staff are very friendly and helpful. Room was clean and tidy. Large room and very nice bathroom. Shower was hot and worked perfectly. Radiators were very hot, so had to turn the heating down during the night. The Crown Hotel This rating is a reflection of how the property compares to the industry standard when it comes to price, facilities and services available. It's based on a self-evaluation by the property. Use this rating to help choose your stay! Overlooking Morecambe Bay, The Crown Hotel has stylish, modern rooms each with a flat-screen TV and free Wi-Fi. There is also a licensed bar open until 20:00 for guests to enjoy. Each room has been furnished to a high standard with contemporary oak furniture. Also included are tea/coffee-making facilities, a seating area and an individual private bathroom. Guests can enjoy sunset views out over the Lakeland Fells from the beach, which is on the hotel door step. 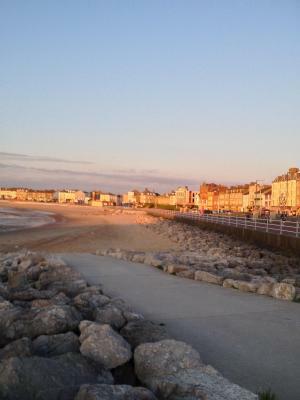 Just 5 minutes' walk takes guests to bars, restaurant, shops and Morecambe Rail Station. Located on the 2nd or 3rd floor in either the main building or the annex, this spacious room features a LCD TV, a seating area, tea and coffee making facilities and an private bathroom. A Family room fit for 4 people. It includes pine furniture, a LCD TV, tea coffee making facilities, a seating area, an inter connecting twin bedroom and an private bathroom. 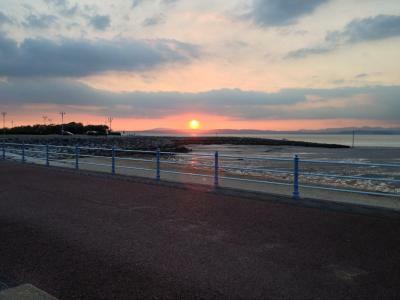 Luxury double room with sea view overlooking Morecambe Bay. This room offers a spacious sofa seating area, a LCD TV, tea and coffee making facilities and an private bathroom with a bath/ shower combo. This luxury spacious room offers an interconnecting twin room, to accommodate a family of 4. With an LCD TV and tea and coffee making facilities, it also offers an private bathroom with heated towel rails. This self-contained flat comes with a built-in kitchen, a dining area and views of the sea. It is located on the 1st floor and offers shared bathroom facilities. Located on the 2nd floor in the Royal Annex, this room offers panoramic sea views of Morecambe bay and comes with oak furniture and an private bathroom. This room comes with a flat-screen TV, tea and coffee making facilities and a private bathroom. The Crown Hotel is a Boutique style B&B, with beautiful rooms with sea views overlooking Morecame Bay and the Lake district. 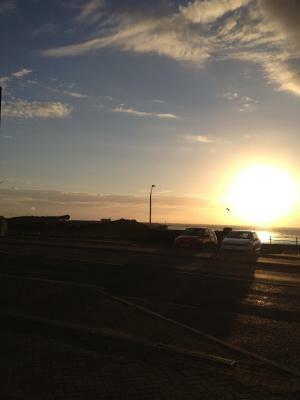 We are in the heart of Morecambe so never to far to the shops, restaurants, bars and cafes. Although no parking is available, there are 2 council car parks next to the hotel. Please note that the restaurant is closed on Monday's and Tuesday's. There was no soap provided in the bathroom. Also the room was not cleaned on one of my days there despite my being out of the room all day. No hot shower. Hot water pressure too low so shower always cold. Breakfast . No table cloths, breakfast served while still eating cereal, no menu to choose from. Breakfast served in pasta bowls, no fried bread or toast. Towels was a bit small, window was left open when we arrived so the room was very cold. Lovely friendly staff, nice spacey room clean and tidy! Our English breakfast was good starting with ceral if you wanted it...we also had an evening meal, booked that when we arrived also good ..The dinning room/bar had a friendly atmospher and was very busy. No car parking in or around the hotel premises. There is a car park at the rear of the hotel about a two minute walk £3.00 for 12 hours. Nothing else to criticise. The staff where really kind and helpful, the English breakfast was good and hearty. And extremely close to the front we had a great view from our room.